The burden of prison debt on the formerly incarcerated. The formerly incarcerated are facing crippling prison debt when they get out, and it needs to stop. The burden imposed by criminal justice debts can linger for decades. When David Silva returned in 2006 from serving 38 months in New Jersey state prison for offenses related to his substance abuse, he faced more than $35,000 in debt. He didn’t owe this money to private creditors; he was in debt to the government for his prosecutions and stints in prison. Silva’s debts for “use” of the criminal justice system included public defender fees, various surcharges that went to things such as police uniforms and drug-use prevention, and probation supervision fees, as well as restitution and fines. Silva’s debts also included about $10,000 for substance abuse treatment he received in prison. Though he was working full-time when he got out, the amounts owed were crushing and were a barrier to meeting his basic needs. His debt also precluded him from getting a driver’s license, which only made it harder for him to get back on his feet. Silva ultimately filed for bankruptcy. This path from prison to bankruptcy is all too common. As policymakers across the country increasingly move toward rethinking mass incarceration, the excessive costs imposed on criminal defendants remain roadblocks to people seeking to transition back to their communities. Even a decade after Silva left prison—and on the other side of bankruptcy proceedings—the burden imposed by criminal justice debts lingers. His efforts to move out of his old neighborhood to a community with lower crime rates was for years stymied by landlords who balked at his credit report. When he could finally obtain a car loan, he paid an inordinately high interest rate due to his debts. Silva’s experience highlights an increasingly fundamental fact about encounters with the criminal justice system: long after a formal sentence ends, the punishment continues. As his story shows, a criminal sentence is no longer a singular penalty pronounced by a judge as a proportionate response to a criminal conviction. These convictions often spark a cascade of economic consequences that persist for years after the formal sentence is over and threaten a person’s ability to successfully and self-sufficiently re-enter society. These debts force individuals to navigate a maze of onerous systems and actors—criminal courts and prisons, but also private debt collectors, DMVs, credit reporting companies, and bankruptcy courts. As the country saw in Ferguson, Missouri, these types of financial punishments can also have a pernicious influence on the policing of communities: They incentivize law enforcement agencies to focus their policing tactics on raising revenue. This is what happened in Ferguson, and because those revenue-raising practices targeted black residents, they contributed to a fundamental breakdown of trust between police and community. Ferguson presents an especially stark example, but it is not unique—such methods distort criminal justice practices across the country. To meaningfully rein in the thicket of financial obligations ensnaring people like Silva, advocates and policymakers will need to take a global approach to reform. Our organizations recently proposed such an all-hands-on-deck approach to tackle this problem. We focus on two avenues for reform: flooding the courts with advocates who can mount creative legal arguments to protect individual clients from the harms of criminal justice debt now and equipping advocates and policymakers to fundamentally reform the systems that have led to abusive practices. More attorneys—including civil legal aid attorneys—are needed to represent poor clients facing unlawful imposition and collection of criminal justice debt and to help people navigate the maze of court proceedings—like contempt, garnishment, remission, and bankruptcy—that may occur long after a criminal sentence. These litigators should be drawing from a broad reservoir of potential legal arguments, including claims rooted in constitutional, consumer protection, bankruptcy, and anti-discrimination law. Utilizing all existing legal tools is crucial, but reformers should also be looking to more systemic change. As a start, criminal justice debt policies should be revised to dramatically reduce the number of financial obligations imposed—for example, by rejecting the proposition that the legal system should be funded by “user fees” imposed on a small (often poor) subset of the community. Policy reform should also aggressively displace the streams of revenue that tie budgets of police departments and courts to the outcomes of criminal cases, leading to conflicts of interest. Individuals should enjoy robust procedural protections to ensure that they are not saddled with debt they can’t afford or are punished for failing to pay impossible sums, and courts should be equipped with workable alternatives, such as well-designed community service programs, for individuals too poor to pay. Finally, the whole system needs to become significantly more transparent so that defendants can navigate it more effectively and citizens can understand and criticize it—including by better understanding rates of racial disparities. There are promising signs that stakeholders are coming together to devise these types of solutions. In March, the Justice Department sent a letter to every state court chief justice and chief court administrator in the country urging them to convene stakeholders throughout the justice system to ensure adherence to basic constitutional norms when imposing and enforcing court debt. Judicial systems in Arizona, Illinois, and Missouri have all recently acted to do so. Other states should follow their lead. When they do, they should convene a broad set of actors—including experts in criminal law, civil rights, consumer law, and poverty law. And in developing reforms, the proposals discussed above, and in more detail in our Confronting Criminal Justice Debt guides, would be a good starting place. It has taken Silva a decade since regaining his physical liberty to begin to free himself from the burdens of court debt. His perseverance is inspiring, but his experience is dispiriting: It illustrates the long slog that we ask our returning citizens to make in attempting to regain their footing. 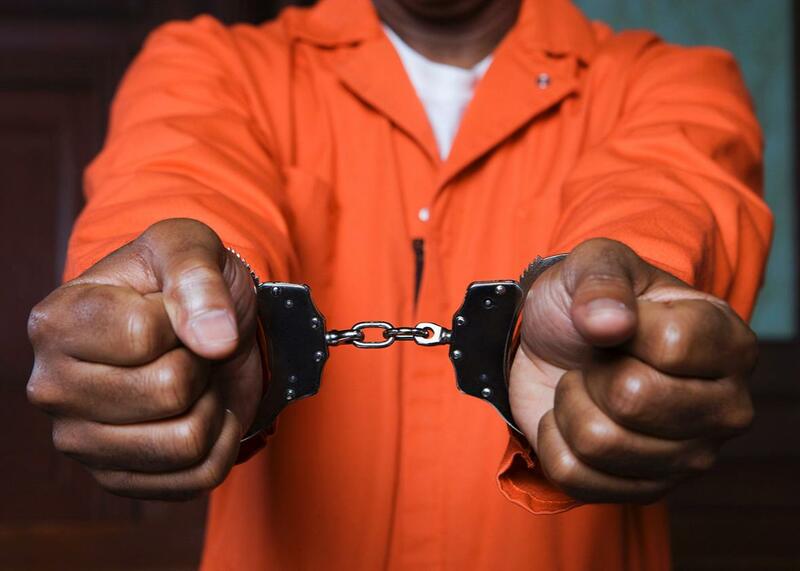 Extending punishment beyond a sentence’s expiration is unfair; it is also counterproductive. It is time for judges and policymakers throughout the system to dismantle the elaborate machinery whose main function is setting people up to fail.